I forget everything else when I keep thinking of you . I'm thinking of you, That's all I do, all the time, you're always the first and the last thing on this heart of mine. hi, my name is taarhlia, please contact me through my email here ([email protected]) it is very important pls? i will be waiting to read from you. thank's? You're the only one who I wouldn't mind losing sleep for, the only one who I can never be tired of talking to and the only one who crosses my mind constantly throughout the day. You're the only one who can make me smile without trying, bring down my mood without the intention to and affect my emotions with every action of yours. You're the one I'm afraid of losing and the one I want to keep in my life. You're special to me. Do you know I never ever feel bored, never ever feel lonely, because you are always in my thoughts. Morning, afternoon, and night. 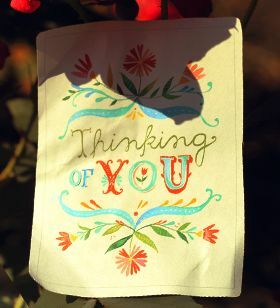 "Thinking of you" is something you say for a person to whom you feel exceptionally close and bonded to. Having someone in your life is a great blessing and loving someone feels great. When you are in love or a relationship, you tend to think about your significant other time and again. It is his or her thoughts that you are preoccupied with, most of the times when idle. There is no harm in devoting a fraction of your thoughts to someone whom you love truly, madly and deeply. Rather, it is something that comes naturally to people who are in love. You tend to think about the other person, his or her thoughts, fantasies and desires. When you are in love you feel like going to great lengths to satisfy the person whom you love. But thinking of someone all the time can be highly distracting and can sway your focus from the task at hand.